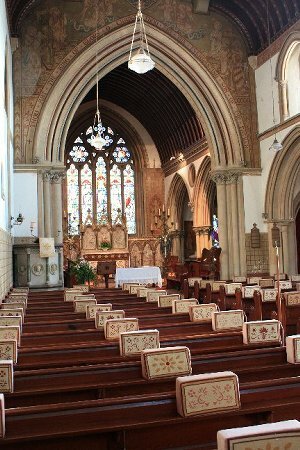 All Saints Church, Nocton, Lincolnshire Online Magazine. Rector: Lorna Brabin-Smith 01522 794868 lorna.brabinsmith@btinternet.com. The church will be open on Saturday afternoons 2-4 pm from Easter to Michaelmas (29 September). Please see the Who's Who page for details of keyholders for access at other times. All Saints Church is a fine example of a mid-Victorian Gothic revival church. Consecrated in Dec 1862 as All Saints, on the site of the former and much smaller St Peters. The grand building is still in use today and is successfully holding its own against the tide of secularism. All Saints through the seasons. The East Window and Altar through the Chancel Arch.